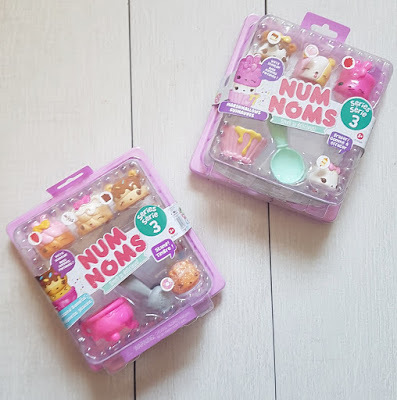 If you don't know about Num Noms, they are cute, scented characters ranging from waffles to cheese toasties to strawberries to ice cream. You can stack them up to create your own scent combinations. Some are soft and hollow whilst others are lip glosses, stamps or erasers,.D is obsessed with them and collecting them since series 1. 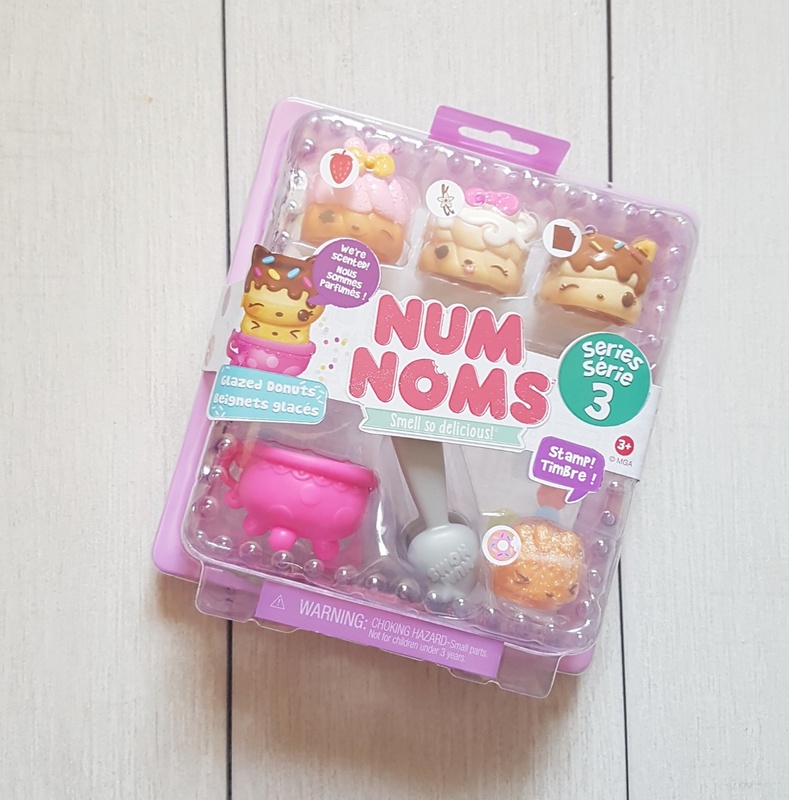 So imagine her joy when we received two starters packs to review. Series 3 Num Noms come in little food packaging, which you can easily pop open, they also have air holes on the packaging so you can sniff before you buy. In the package you will find a colourful collector checklist alongside the Num Noms. In the marshmallow starter pack you get Sara S'more who is super delicious with her graham cracker, marshmallow and drizzled in melted chocolate. Then we have Bella Bubblegum she has three different colours and is cheeky with her tongue poking out. Rachel raspberry is Darcy's favourite as she's pink and very sparkly. She's duper super cute and squishy too. Then we have Mellow erase who is very special because she's an actual eraser. She is completely solid with a hole in the bottom so you can place her on your favourite pencil for safe keeping. 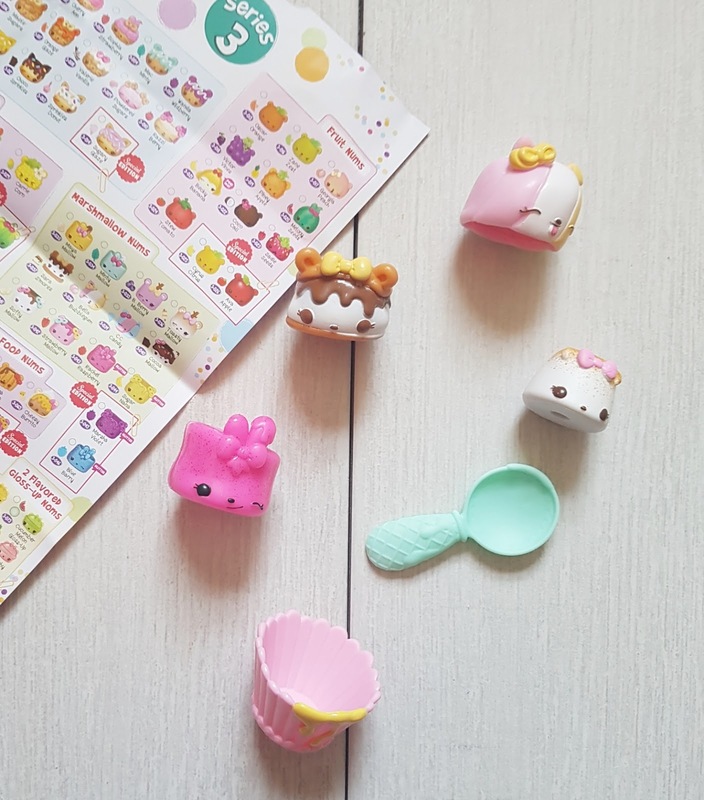 They come with a cupcake case, and a spoon so you can scoop them up and put them into the cupcake case. Glazed Donuts includes Valerie vanilla, shes covered in icing. She's sweet for sure and wait till you smell her. Choco Sprinkles is just like her name suggests covered in chocolate and sprinkles, I mean who doesn't love a chocolate donut? Sophie Strawberry who you won't be able to stop sniffing. 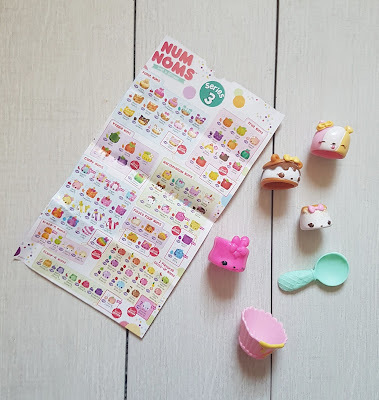 we have a stamp who is a donut shaped scented stamp. The box also comes with donut tongs and a coffee cup so you can dip your Nom Num into it. 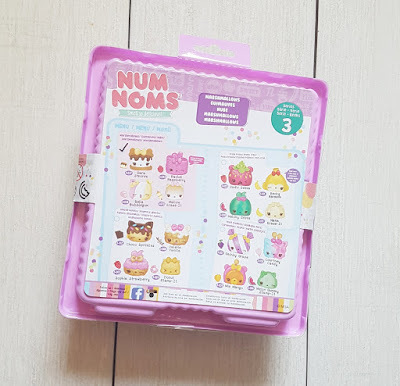 If you head on over to the Num Noms website you can tick off which ones you have already in your collection and mark the ones you want. As well as starter packs for series 3 there are two other starter packs Hard Candy and Fresh Fruit. A lunchbox which has double the amount of Num Noms, and the surprise packs which has one Num Nom. 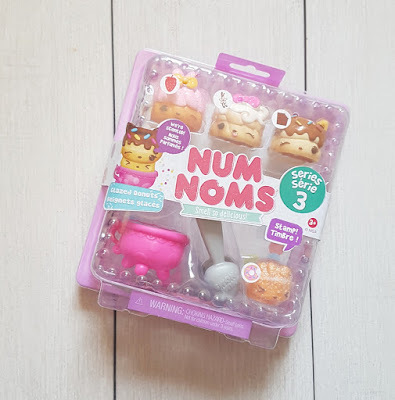 Nom Nums series 3 is for children aged 3+, although you may find yourself sniffing away and stacking them up yourself and are available at all good toy retailers and supermarkets. We are giving away a Glazed Donuts Stater Pack worth £9.99. To enter, simply complete one or more of the entries on the Rafflecopter below. 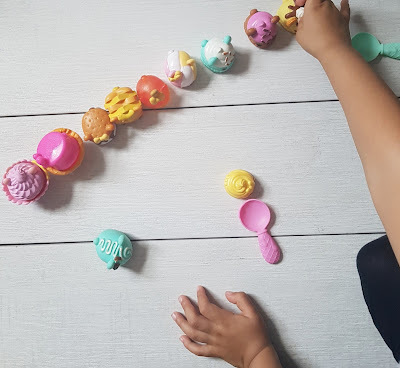 The cookie starter pack catches my eye! The Glazed Donuts look good! I can't resist a donut lol! The fun fair starter pack caught my eye! Ellie would love the cookie starter pack, thank you. cookie starter pack for us, thanks guys ! Love the look of the new series my daughter loves collecting them. 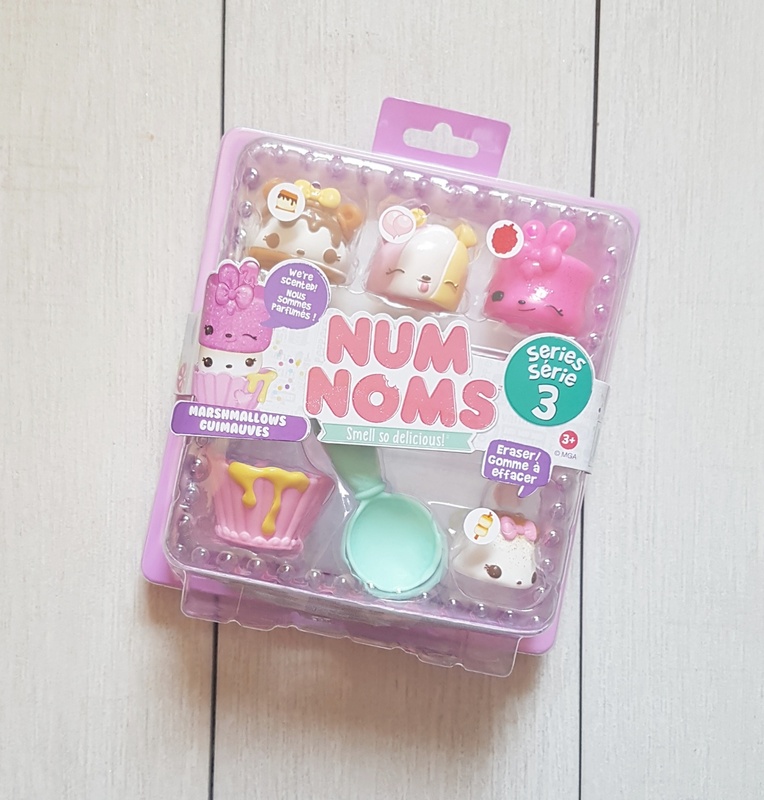 i like the look of the fancy cake starter set most. Marshmallow starter pack looks fun! 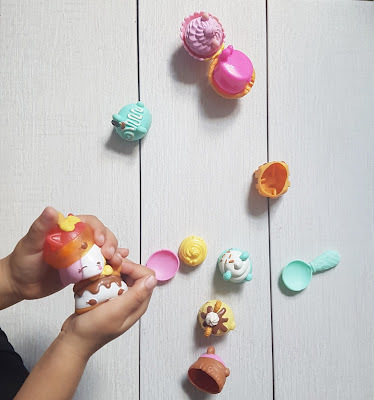 Glazed donuts - my niece loves them ! They all look fab but I think my daughter would love the glazed donuts.